Sometimes the consequences of our actions take a long time to catch up with us. Such is the case with second-hand smoke. You already know that smoking is bad for your health, but this study demonstrates a compelling reason to insist that people not smoke around you, your kids or your grandchildren. Japanese researchers did an extensive study of over 50 thousand children born between 2004 and 2010. They wanted to know how second-hand smoke during and after pregnancy might impact the child’s development. Of those studied, 3.8% were born to a mother who smoked during pregnancy, but not after the child was born. In this case, the child wasn’t technically inhaling second-hand smoke but was exposed to the same toxins through the placenta. Approximately 15% of these children were born to mothers who once smoked, but quit smoking when they discovered they were pregnant. Almost 4% were exposed to second-hand smoke through family members, which may or may not include the mother, until at least the age of 4 months. They tested the children’s hearing as they age. By the age of 3, nearly 5% of the children (2500 kids) had detectable hearing loss regardless of exposure to second-hand smoke. They determined this by doing a whisper test where children were exposed to the same whisper volume. Five percent hearing loss is on par with worldwide averages. Over a longer period of time, however, the children who were exposed to second-hand smoke had up to a 30% higher risk of hearing loss. The percentage increased in direct proportion to the amount of time the child was exposed after birth. Even more surprising, smoking during pregnancy increased the child’s risk by 68% even if they stopped after the child was born. 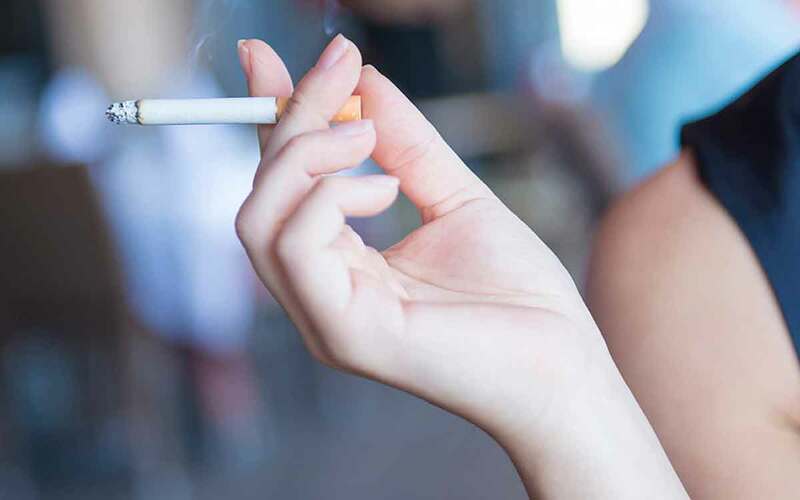 This is the first time that a connection between second-hand smoke and hearing loss has been confirmed through an extensive study. How Can You Limit Hearing Loss? Get the facts. Exposure to smoke doesn’t just impact children. Smokers have a 70% increased chance of developing hearing loss over time. Adults exposed to second-hand smoke are 28% more likely to develop it. If you were exposed to second-hand smoke as a child, know that you’re at higher risk of developing hearing loss at a younger age. You’re never too young to get a hearing test. And getting one can eliminate years of denial and struggling with an inability to hear. Know the warning signs of hearing loss. They can be subtle at first. Learn about your risk level. In addition to second-hand smoke, you may be in a high-risk job or have other environmental and behavioral risks. If someone you know is considering having children and smokes, tell them about this study. Finally, if you’re still smoking, this is just one more reason of many that it’s time to quit.